���Continental Portile de Fier Motel, 3 star motel, is located on the barrage-bridge that links Carpathian Mountains with the Balkans, being a suitable tourist offer for the ones interested in cruising on Danube. ��The motel has 37 accommodation units of which 27 double king sized rooms, 7 double rooms, 3 apartments, all having a view to the Danube river. The rooms are equipped with air conditioning, individual bathrooms with shower, minibars, internet access, cable TV sets, telephone lignes. ��The Continental Restaurant comprises 2 modern halls, a total capacity of 90 persons. 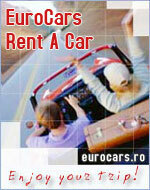 Here you can have menus from both international and Romanian cuisine. The speciality is the menu from fresh fish, just caught from Danube. The motel's bar has 24 places being open from 08:00 to 24:00. ���During summer time, you can have a lot of fun in the swimming pool or using one of the 3 tennis fields. Br> ��The hotel has a conference hall fitted with retro projector, screen, flip chart, video and Tv sets.